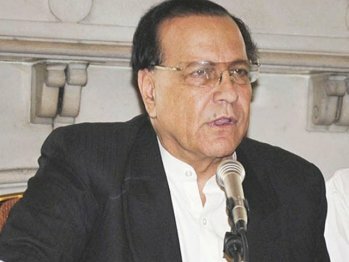 LAHORE: Punjab Governor Salman Taseer’s tweets have been making headlines for the papers but his latest status update on the social networking site has shocked the people who follow him on the twitter. His tweet was “CJP Iftikhar Chaudhary has expressed his pleasure at the PM honouring him by sacking both ministers …… Mogambo khush hae”. After the governor’s hide-and-seek games of last week, it seems he is now more interested towards social networking sites. Yesterday he updated his twitter status at least 16 times in which he touched various other interesting issues, tempting all his followers to reply back. He also tweeted on the Chinese premier’s visit to India, saying “Because Premier Wen refuses to play the India game, they are complaining he has no charisma. Cameron has as much charisma as yesterday’s paratha”. Omer, one of Taseer’s many followers on twitter, said it seems that the governor always wanted to be in the headlines and what he was doing could have some serious legal implications.